Discussion in 'All Other Games' started by Lone Wolf, Dec 18, 2011. I don't have time for a long EU3 game and I feel that the late starts are often neglected among the EU3 community. After all, EU is supposed to be a game about the whole time period, not only about the late Middle Ages and the early Reformation. HTTT, Sancta Romanum Imperium mod with my own changes. I don't have PixelShader 3.0, so porting my changes to Divine Wind only to have it running though 3DAnalyze makes it not worth the lag. The game ends in 1830 as opposed to 1821, to give later starts slightly more breathing time. Normal aggressiveness, VH difficulty, with added inflation reduction bonus for the AI. I like playing Asian nations - all that exotic Orientalism and all that (Edward Said blahblahblah). And Maharasthtra presents an interesting mix of opportunities (other, weaker Indian states) and challenges (the British, who are already entrenched in Bengal by 1766). My goal is to conquer the former and kick the latter out of India. Anyway, here's the start. Note the changed Westernization requirements. In 1761, the Maratha Confederacy had lost the famous Third Battle of Panipat to the Durrani shah of Afghanistan. Our Peshwa (whom the game calls Raja, because I am not going to change the localization file for one country), Madhu Rao, succeeded in restoring Maratha authority to parts of Northern India, yet he was forced to give the Maratha princes in Nagpur wide autonomy. Now he is ready to subdue them back to his authority. After consolidating North India, the Peshwa declared his authority to be absolute (switch to Absolute Monarchy government). He also announced measures aimed at reducing the local princely authority (+1 centralization). This provoked a pretender rebellion that was eaily crushed by troops loyal to Madhu Rao. The budget. Indian tech rate is 60%. As usual, I am not afraid of inflation much. It doesn't have the time to reach 40% (when I start worrying about it). 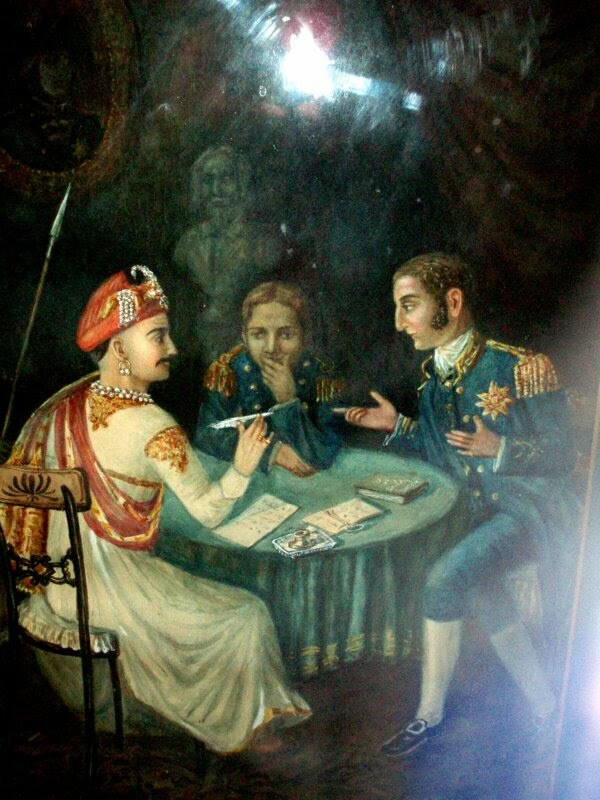 In 1776, the Peshwa declared war at the Nagpur princes. That, for some reason or other, provoked a protest from the ruler of the Mughal remnant. Yeah, whatever. More worrying was the Nizam of Hyderabad's insistence that the Peshwa cedes Nagpur to him. For a while, Madhu Rao agreed, focusing his attention on the Konkan princes (the Hyderabad forces start sieging Nagpur earlier then mine). Among other developments, the local populace in Goa rose up against the Portuguese oppression. The Peshwa established contact with the rebels. While afraid to help them openly, he agreed to take over Goa, provided the rebels would be capable of defending it. In early 1767, the Nizam took over Nagpur. Some Hindu nobles, worried at Madhu Rao's centralization, attempted to attack his measures from a traditional religious viewpoint. But the Peshwa refused to back down. In 1767, the resistance of the Kankan princes was completely crushed. Meanwhile, in Europe, France vassalized Sardinia-Pienmont. While the Maratha Confederacy declared war on the Hyderabad. At the Battle of Golconda, the Nizam's army was completely destroyed thanks to Madhu Rao's innovative use of artillery. The Afghanistan Shah invaded Northern India again. The Maratha princes started to prepare a response. Especially with Hyder Ali losing his wars with the British East India Company, which decided to directly administer Mysore. In 1769, the Nizam agreed to submit to Madhu Rao. He was allowed to keep some of his lands as a member of the Maratha Confederacy. The Afghan Shah was unable to properly invade India, since he was backstabbed by Iran. All this made some of Maratha generals complacent. But Madhu Rao was a very energetic and demanding ruler, which, while keeping the army in check, didn't make him popular. As rebellions spreaded in the Durrani empire, Marathas moved in. Madhu Rao received the news of a revolution in Spain with some interest. Despite his reputation as a harsh man, when the people started to protest against recruiting, Madhu Rao decided to compromise. This allowed the Maratha court eulogists to paint Madhu Rao as a "friend to his people". The victories over Durrani in Punjab allowed Madhu Rao to restructure the military without any meaningful opposition. While in China a small group of rebels declared themselves to be the continuation of the Ming dynasty (amusingly, they stayed that way 'till the end of the game). In 1770, the Peshwa agreed to support the rebels in Goa in exchange for them joining the Confederacy. The Portuguese, cowed by Madhu Rao's successes and reforms, did not protest in any meaningful way. The Sikhs in Punjab, however, were not pleased with the Marathan administration. So, after consulting the Sikh warlords, Madhu Rao decided to give them more autonomy. Which had a good effect on the Confederacy, as the people saw that Madhu Rao is capable of not only harshness, but of moderation as well. It's a Constitutional Monarchy now. In the Battle of Sutlej, the backwards army of Shah Alam of the Mughals had been totally destroyed. Mughal magistrates start building roads and canal projects. Rarely am I ever online, due to increasing time spent RL doing actual productive things! And whenever I am online, feel free to ignore this sig. A brief calm before the storm. In Summer 1773, he peacefully died in his bed. His brother Raghunath Rao governed the regency council for a few month 'till his son, Narayan Rao, came of age. Raghunath Rao was very concerned about the growing British presence in the region. In the beginning of 1774, Narayan Rao pushed his uncle to the sidelines and assumed the post of Peshwa. He already had a small son. The new ruler was quite a spoiled young price. While possessing some personal charm, he was unwise in spending the money that filled the treasury. All the people of the realm resented the prince's taxation policies. On the other hand, Narayan Rao was ordering the roads to be built and the armies to be risen for the upcoming war with the British East India Company. And when the people of Bihar raised up in a rebellion against their taxes being spent on more and more fancy carriages for the Peshwa, he managed to dissolve the situation though his charm. He continued his father's centralizing policies. They, however, were perceived by the peasants as an further assault of greedy tax collectors. Meanwhile, France vassalized the Palatinate. In 1775, the Peshwa approved of a manufactory to be build in Nagpur. And Denmark was forced to cede most of Norway to her Scandinavian rival. Encouraged by the rebellions against the British rule and the progress in Maratha warfare technology, Narayan Rao declared war on the British in the spring of 1776. While a part of it moved to Bengal, where the British and the Bengali rebels conducted their own war. The general Madhu Rao Narsala defeated the meagre British forces in Bengal and won the siege of Bangala. While a large British army, advancing from Southern India, suffered a defeat at Raichur Doab. The cartoonists in London had a field day with mocking general Adolphus Talbot. The Maratha army pursued the defeated British into the former Mysore territories. However, general Madhu Rao Narsala turned out to be very fanatical in his Hinduism. He regarded both Muslims and British as Maratha's enemies. Thus, he failed in his talks with the Muslim Bengali rebels of Mahmud Sen, who had served in the British Indian Army and completely adopted European tactics and weaponry for his forces. It was a major setback for the Marathas. In Southern India, things were going better. And the attempt of Marathan fleet to break the British blockade ended in disaster. A mistake on part of Marathan generals caused a Maratha regiment to be completely wiped out by reinforcements from Britain. At least, encouraged by the Indian example, the Irish in Leinster and Dublin rebelled against Britain. The British managed to evade total defeat, despite suffering casualties. That lead to Maratha's army being less prestigious then before. Finally, in the winter of 1777, the Marathas managed to destroy the army of Talbot. But the Indian troops suffered massive losses as well. Narayan Rao ordered more mercenaries and troops to be raised. That stretched the manpower and financial reserves of the Confederacy. The Marathas had finally managed to enter Madurai. But, though they forced the British to retreat from Madras, they suffered heavy losses, also. While they continued their uninterrupted advance in Bengal. The British tactics in Southern India were extremely exhausting. A victory in the Battle of Kongu encouraged general Wali-Allah to pursue the British. But in the Battle of Madurai the British had managed to inflict severe defeat on the Matathan forces. The "heroism of English boys at Madurai" was praised by journalists and jingoistic poets in London. This, perhaps, was the turning point of the war. Furthermore, the perceived Marathan incompetence caused the local Mysorean rebels to be opposed both to Britain and the Maratha Confederacy. And the new British general, Archibald Rooke, all but destroyed the Maratha forces in Southern India. The trade crisis of 1778 badly hurt the Confederacy. But they failed to make Mahmud Sen, the self-proclaimed Shah of Bengal, to recognize their authority. All that caused unrest in the Confederacy. For a while, it seemed that Southern India will fall to the local rulers. But the British armies managed to crush the local rebellions. At least, in 1780, the Marathas managed to establish a weapon-producing industry. And the Italian attempts to defeat the Maratha in Bengal were rebuffed. In 1781, the part of Bengal controlled by the Muslim rebels formally declared its independence. And the new weapon industry brought benefits to the Marathas. Plus, the Haitian Federation of the Caribbean managed to declare independence from the British. However, the British brought more and more reinforcements to Southern India, while the Confederacy was completely exhausted. And the grand battle of Raichur Doab, in which the Marathas concentrated their remaining forces, ended in total defeat for Narayan Rao. Thus, the inferiority of Maratha military to the British one became clear. Narayan Rao had no chose but to sign a peace treaty with the East India Company, ceding Maratha territory to them. At least, the territorial losses weren't that big. Further, the partial independence of Bengal, Leinster and Dublin (the two-province Irish Leinster soon signed a peace with Britain for some small change) weakened the British. Narayan Rao. A painting by a British artist. 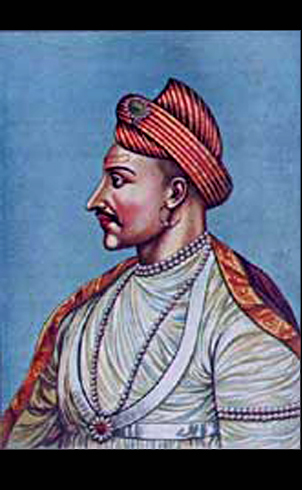 Even after his loss to the British, Narayan Rao managed to increase his authority (mostly as a result of several prominent Maratha princes and nobles dying in the unsuccessful war). There were some minor rebellions, though. As a result of massive military spending, Maratha inflation reached 9.6%. I don't know why in SRI the Netherlands' provinces still get the Imperial Demesne core after they leave the HRE. Probably a bug. The unstable situation in Maharastra had resulted in peasants raising their arms against the nobility. The Marathan princes had no choice but to reach a compromise with the rebels. The Marathan army was soon restored after the Marathan-British war. In effort to restore the Marathan prestige, Narayan Rao attacked the Mughals and Sind. In 18th March, 1785, Narayan Rao died. Some said he was killed by his own generals, who were unsatisfied with his conduct in the war with Britain. For three years, old Raghunath Rao held power again. The killing of Narayan didn't harm the realm. Many perceived his death as justified for spilling so much blood, yet failing to free India from Britain. Also, the Shah of Surat, one of the local Indian rulers, declared independence from Britain. The same year, the Mughal army was defeated. In 1768, Raghunath Rao again had to lower taxes in order to prevent a revolt. The Sultan of Sind was proving to be a more dangerous opponent then initially thought. So he extracted territorial concessions from the dwindling Mughals and signed a White Peace with Sind. While listening to the news of another European revolution. In 1788, young Shambaji came of age and became the new Peshwa. Despite his age, he was quite capable. He proved his military capabilities with a brief war, in which he annexed the Surat sultanate and took some territory from Sind. Bright green color represents the new borders. The brief intervention of the Qing Empire was welcome. Hopefully Maharastrans learned from their fiasco that artillery is extremely vulnerable without adequate infantry protection and shall rethink the composition of their armies. I had visions of my huge cannons destroying the British in their wimpy redcoats. Ah well. Artillery IS great, just not on front line, where they get decimated. On the other hand, they substantially increase fire rating of units directly in front of them (iirc?). The war campaigns destabilized the Maratha currency. At least, the superior tax assessment practised in Surat was a limiting influence on inflation. And the national loan of 983 gold was repaid to the Maratha merchants and nobles. Military expansion of the Marathas caused further tensions with Sind. In 1790, Shivaji II ordered a new military reform in order to fight the British. Instructors were sent from European countries that were hostile to the British power. In 1791, France declared war on Spain. They would stay like that for the entire game. France would occupy mainland Spain, and the Spanish AI, like I discovered, would be ready to sign a good peace, but French AI was stupid and, apparently, thought that it can get more. At least, since I greatly reduced the MTTH on the non-main culture province flip event, France received all Basque, north-west, provinces of Spain, and a three-province Catalonia somehow declared independence. In April the son of Shivaji II, also named Shivaji, died. However, Shivadji refused to back down and continued to increase his power at the expense of other princes. With 3 regiments against entire Marathan army? That pretender is indeed an idiot. Some of the Surat Indians were trained the art of warfare by the British. That proved beneficial to Maharastra. In 1793, the nobles of Punjab vassal state requested incorporation of their realm to Maharastra. But they demanded too many local privileges (+2 decentralization), to Shivaji refused their offer. In 1794, the South Indian state of Travanacore, seeking help against the British, had accepted an alliance with Maharastra. Shivaji was so eager for war and liberation of Indians from the British oppression, that he refused to spend time re-evaluating currency - a decision that some of his financial advisers considered unwise. A comet that appeared in the sky shortly afterwards, didn't help matters. On the 16th of June, war was declared. The Marathas were forced to retreat from Kondavidu from the pressure of numerically superior British forces. But in Bengal, they were met with complete success. When the army of Henry Buckingham, a British general, advanced from Southern India to Raichur Doab, the Maratha armies fled. But before fleeing, they burned all the crops. This morally ambiguous action harmed the local peasants, but it also harmed the invading army. Hunger and illness reduced the British forces to half their initial size. Under the leadership of Matthew Salisbury, who replaced Buckingham, the British army in Raichur Doab managed to inflict a defeat on the Marathas. While Buckingham defeated the combined armies of Shivaji and the Nizam. But the army at Raichur Doab was forced to flee from the second Marathan attack. Meanwhile, Russia ceded some territory to the Turks. The Ottoman victory in the Russo-Turkish war came as a surprise to many. In Hyderabad, the British continued to suffer defeats. The Marathan armies were exhausted. But the British were exhausted even more. Thousands by thousands, the redcoat-wearing troops died in the hot Indian climate. The British attempted a comeback. And even forced Travanacore to admit a defeat. But after inflicting the last defeat on the Marathas, General Amherst's army was thinned out, and he was forced back to Southern India. By spring 1798, the British troops in Southern India had been completely annihilated. Shivaji II was forced to compromise with the more traditionally minded brahmans. By autumn, all British territory in India was occupied. The Neapolitan kingdom, whose soldiers were forced to fight for the British Empire, attempted a failed invasion. And Shivaji continued to lay claim on Sindi provinces. All revolts against him failed. After their defeat, he succeeding in seizing the right of sole military command. The Maratha princes didn't have any autonomy anymore. The effects on the realm were beneficial. Freed from their feudal obligations to local princes, the peasants sent taxes to Shivaji instead. For a while, London, unable to understand what happened, refused to sign peace. But in the end, the British offered to cede most of their Indian territory to Maharastra. Shivaji signs peace with the British generals. The British enclave at Jharkhand didn't last long. Soon it became independent. A lot of colonial nations, encouraged by Shivaji II's successes, also declared independence. Anyway, after I won the war with the England, I didn't do much, waiting for my infamy to go down, while occasionally being hit with my magistrates resigning, and my stability dropping one point because of Extreme Opposition. I finally Westernized in early 1820's to Muslim tech, which gave me a slight boost. The Marathan Empire now stretches over all India. The English are limited to only four provinces, while mighty Maharastra as good as united India, protecting it from the European imperialists.